The World’s Best Pinball is Back! Relive the days when the pinball table was king, but play like you have unlimited quarters. 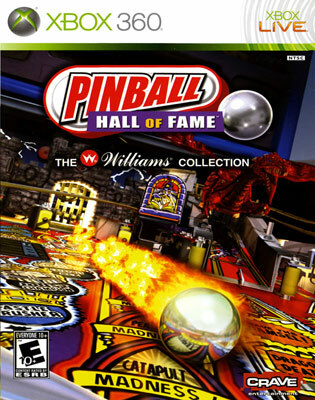 Pinball Hall of Fame resurrects some of the greatest Williams® pinball machines spanning the 60 years of arcade pinball’s golden age. Recreated in a stunning 3-D environment, the game play, visuals and sound effects are so authentic, you’ll feel like you’re in a real arcade. 13 Classic Williams pinball tables from the 70’s, 80’s and 90’s! Multi-Player Tournament mode up to 4 players!